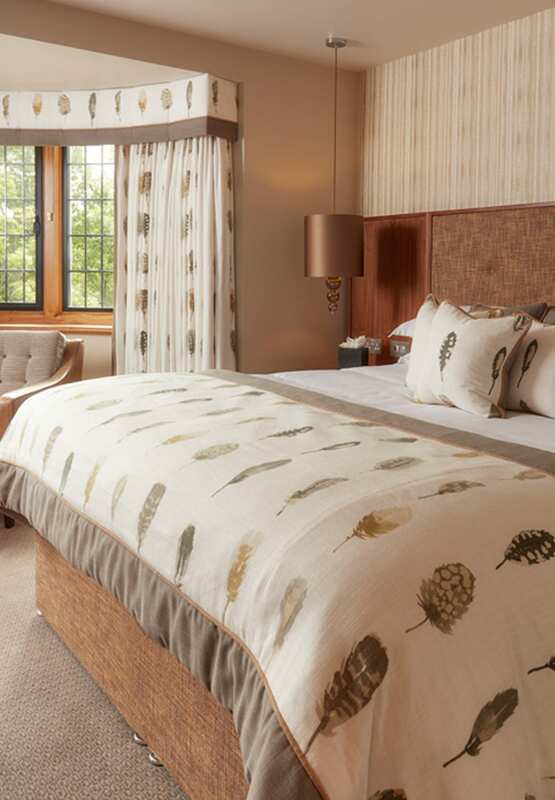 Start your next countryside escape in one of our superior master rooms in our brand new Orchard House at Mallory Court Hotel and Spa, Leamington Spa. Located on the first floor, choose from either a king, queen or twin bedroom and enjoy a well-equipped en-suite and countryside views. Watch the sunset over stunning countryside views from one of our superior master rooms. Our superior master rooms offer lovely countryside views and either a king, queen or twin bed. Room tariff for Superior Master room is between £289 – £370 per night.